You'll explore the less-touristy side of things at Henty Dunes and Tarraleah Power Station Lookout. Venture out of the city with trips to Strahan (Morrisons Huon Pine Sawmill & Wilderness Woodworks), Derwent Bridge (Frenchmans Cap & King William Saddle) and Spray Tunnel (in Zeehan). Next up on the itinerary: contemplate the waterfront views at Dove Lake Circuit. 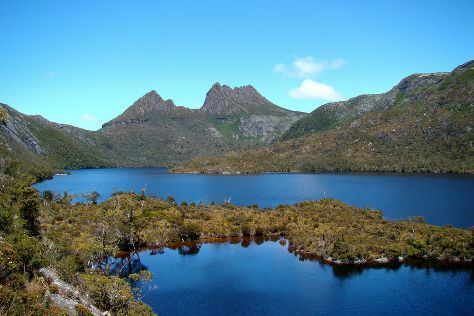 To find other places to visit, where to stay, reviews, and other tourist information, go to the Cradle Mountain-Lake St. Clair National Park trip itinerary maker website . Finish your sightseeing early on the 29th (Mon) so you can travel back home.